Mayor of London has pledged to bring forward construction of London’s first cycling and pedestrian bridge across the Thames linking Rotherhithe, on the south bank of the river, with the financial district, Canary Wharf. The Rotherhithe Bridge will open a new chapter as the first bridge dedicated to cyclists and pedestrians in London. The plans, which include improvements to the Silvertown Tunnel, will make sustainable transport a viable option for Londoners. The bridge, expected to be operational as early as 2020, was backed by the new Mayor in his manifesto for election earlier this year. 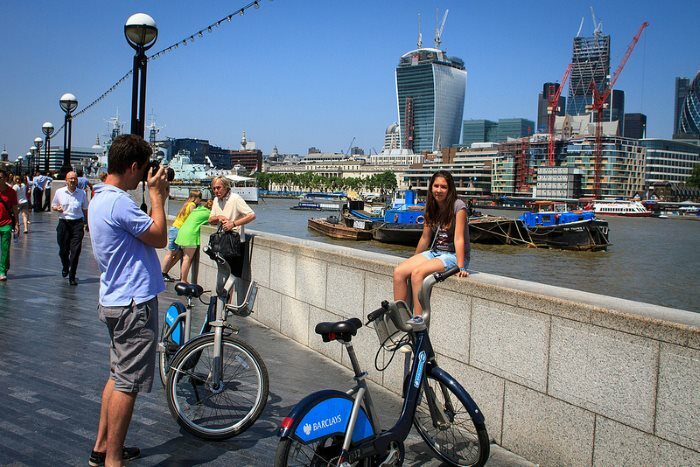 A report published by Transport of London (TfL) last month confirmed cycling in London has increased by five per cent in the first quarter of this year compared to 2015.